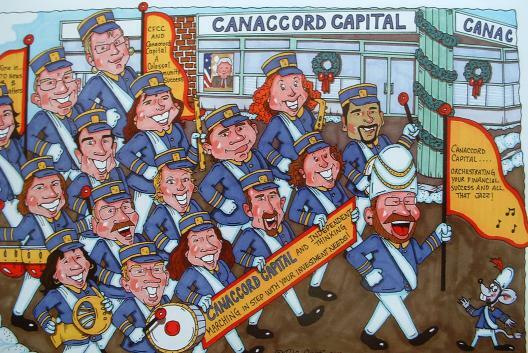 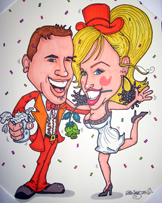 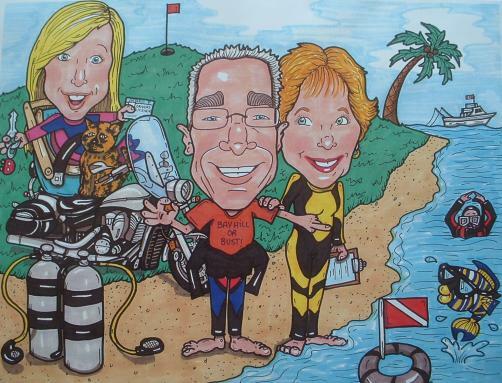 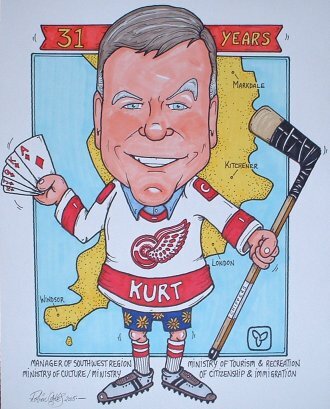 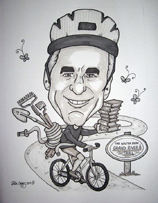 Gift caricatures are great fun for people as a special recognition, or for the person who has everything. 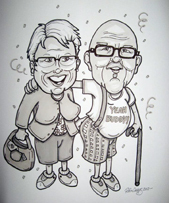 They are wonderful for birthdays, anniversaries, bat or bar mitzvahs, weddings, and retirements. 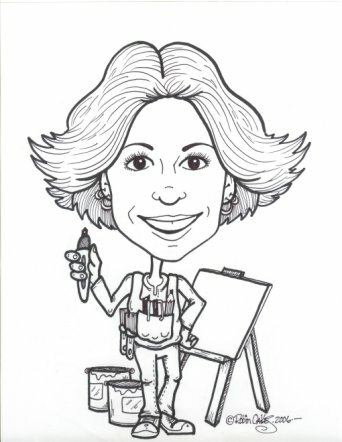 They are perfect for personalized cards, invitations and signboards too! 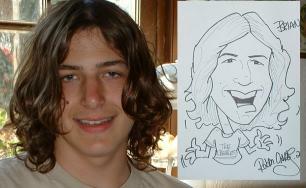 Framing is not included with pictures. 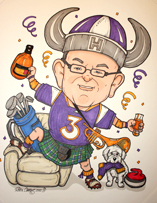 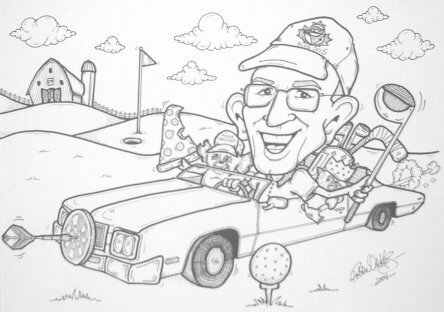 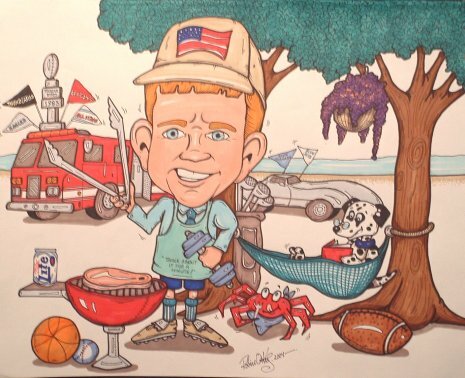 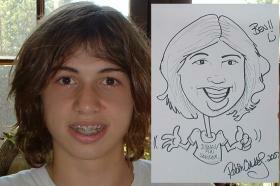 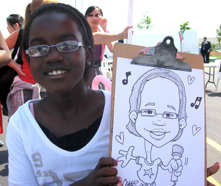 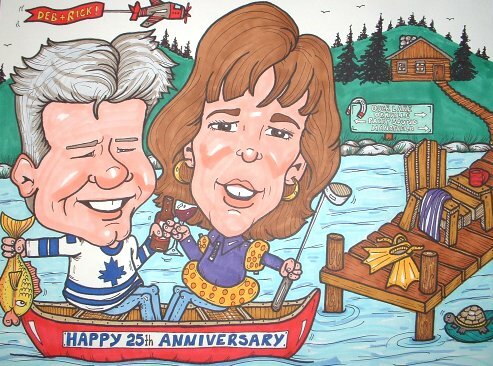 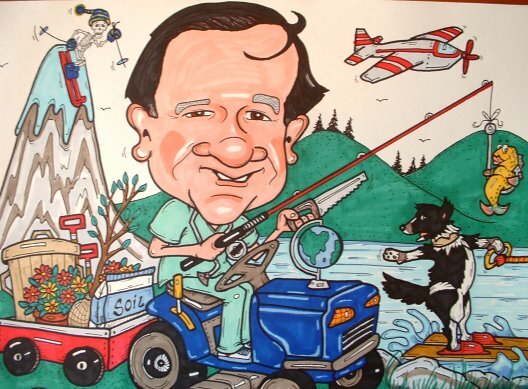 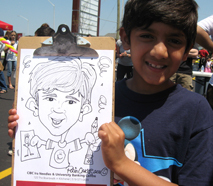 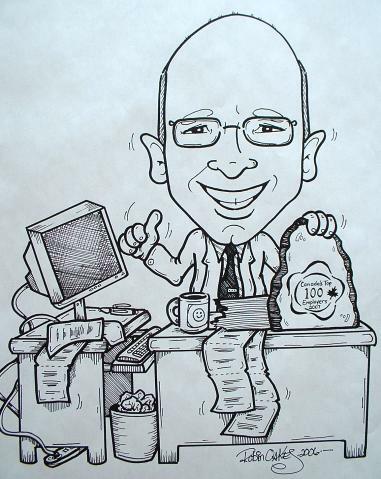 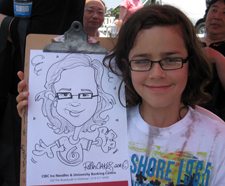 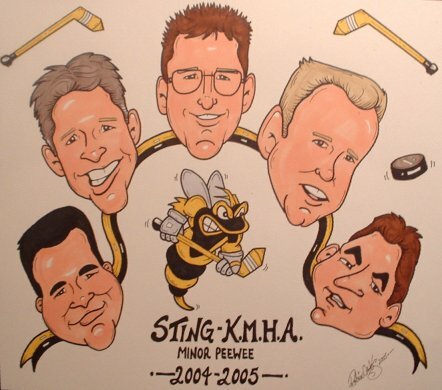 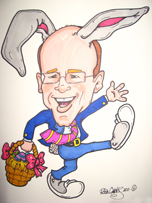 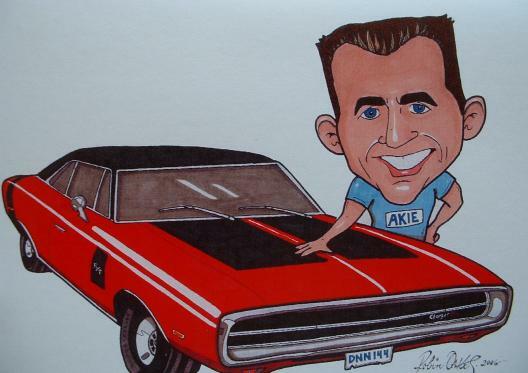 Robin has been creating caricatures at parties and social events since 2000. 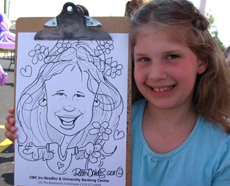 Her ability to draw individuals, and small and large groups always livens up a function. 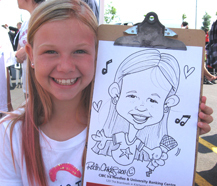 Robin captures the personality, spirit, and an uncanny likeness of her subjects, in a unique and gentle style. 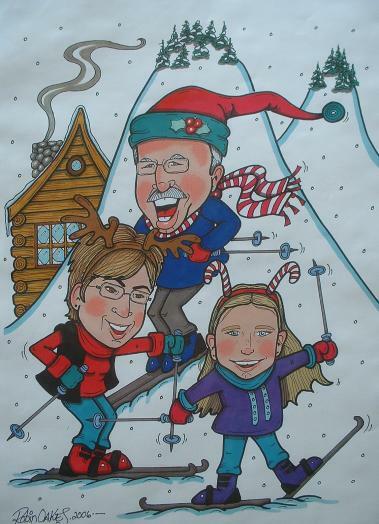 This is always a fun-filled experience for guests, giving them a personalized keepsake to remember for years to come.